In order to build up a national collection of Braille literature for readers with special needs in the country, the National Library commenced acquiring Braille and large print books in June 1990. 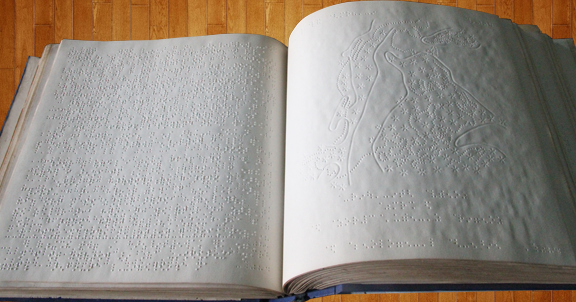 This collection consists of a large number of Braille and large print books mainly received as donations. National Library and Documentation Services Board (NLDSB) in collaboration with the Daisy Lanka Foundation started an information service for these readers in the National Library. The objective of this service is to provide facilities for the readers with special needs to search information providing special information resources to suit their needs. This service includes a collection of audio books and databases useful for readers with special needs. This service was officially inaugurated on 20th October 2014 at the National Library and Documentation Services Board. NLDSB hopes to expand this service to other libraries on their agreement in the future.